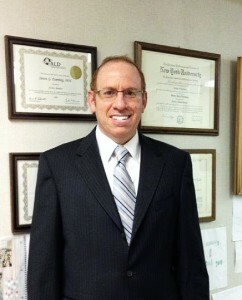 Welcome to Steven Eisenberg, DDS and Brooklyn Dental Smiles. We’ve helped thousands of people achieve whiter, brighter smiles from our Brooklyn office. We look forward to helping you smile. Call us now at (718) 891-2929 or request an appointment on line. Our office specializes in preventive care, and takes exceptional care of your health, with a completely mercury-free practice and digital radiography. Our caring staff will take the time to explain your treatment options. We help guide your decision process by answering any questions or concerns. Our careful, expert services can help correct dental problems for a happier, healthier smile. Contact our office today for more information about our practice. In addition, we’ve included lots of dental health information on our site. Dr. Steven Eisenberg. Your Brooklyn Dentist. Serving Sheepshead Bay, Marine Park, Ridgewood, Gravesend, Belle Harbor, Manhattan Beach, Gerritsen Beach, Mill Basin and surrounding neighborhoods. Sheepshead Bay, Marine Park, Ridgewood, Gravesend, Belle Harbor, Manhattan Beach, Gerritsen Beach, Mill Basin and surrounding neighborhoods. Dr. Steven Eisenberg and our team want to give you a reason to smile every day. With a full range of dental services, Dr. Eisenberg caters to patients of all ages and from all walks of life. Everyone can find the contemporary dental care they need in our office. Our office at 3901 Nostrand Ave is easily accessible from Sheepshead Bay, Marine Park, Ridgewood, Gravesend, Belle Harbor, Manhattan Beach, Gerritsen Beach, Mill Basin and surrounding neighborhoods. 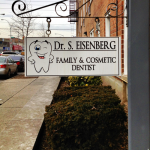 Dr. Eisenberg is looking forward to seeing you soon. Our office is wheelchair accessible, with plenty of parking available, and is easily accessible via public transportation. Looking forward to seeing you soon in the office! Call us now at (718) 891-2929 or request an appointment on line.